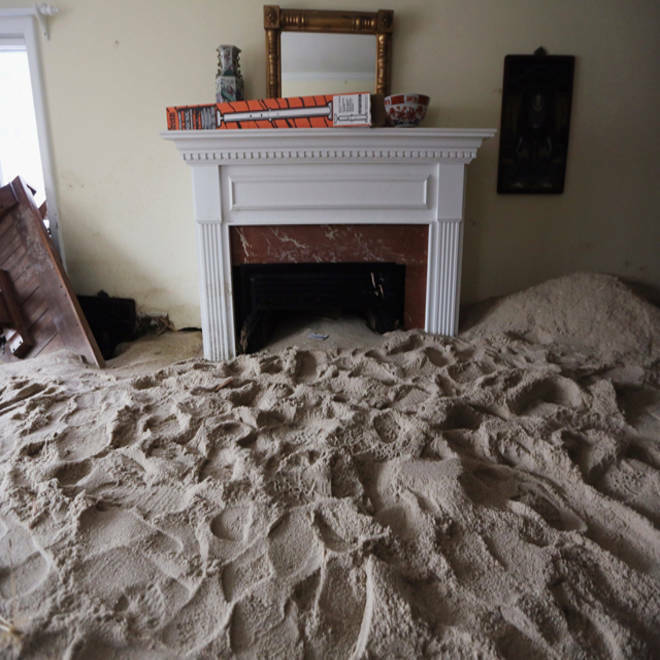 House Republicans have abandoned plans to vote on an aid package for victims of Superstorm Sandy in the current term of Congress after the Senate approved more $60 billion to help affected residents recover. TODAY's Willie Geist reports. WASHINGTON -- The House of Representatives adjourned on Tuesday night without acting on a $60 billion superstorm Sandy disaster aid bill, prompting angry denunciations from members from the states hardest hit by the storm. The GOP leadership was criticized for what one Republican called a "personal betrayal" after it was decided that the bill would not be considered until the 113th Congress, which convenes at noon on Thursday. The current session of the House comes to an end officially on Wednesday after the new Congress elected in November gets sworn in. Legislation does not carry over from session to session, so consideration of an aid bill would have to start all over if, as expected, nothing is scheduled before then. "I have just been informed that we will be having perhaps no further votes in this Congress," said Democratic Representative Steny Hoyer of Maryland. "I am deeply disappointed at that information. We have millions of our fellow citizens who have been badly damaged by a storm called Sandy." "We help each other," Representative Rush Holt, a Democrat of New Jersey, said on the House floor. "We always have ... There are thousands of people who are not going back to their homes. They deserve our help." They and others pleaded with the Republican leaders of the House to rethink the decision, but few were in the chamber to listen. House Speaker John Boehner of Ohio and Majority Leader Eric Cantor of Virginia are in charge of scheduling the House. "For the Speaker to just walk out is inexcusable," Representative Peter King, a New York Republican, told reporters. "It's wrong and I'm saying that as a member of the Republican Party." In a statement, a spokesman for Boehner said: "The Speaker is committed to getting this bill passed this month." That assurance was not enough for the members who have districts that were affected by Sandy. "I feel it is a personal betrayal," said Representative Michael Grimm, a New York Republican. "But I think more importantly, when you parse out all the politics, the people of this country that have been devastated are looking at this as a betrayal by the Congress and by the nation, and that is just untenable and unforgivable." A bipartisan group of eight lawmakers gathered after protesting the move on the House floor after the House voted late Tuesday night to pass a bill to avert the so-called "fiscal cliff." That bill passed 257-167. President Obama will sign the "fiscal cliff" legislation approved by a divided House of Representatives, preventing middle class tax hikes and huge spending cuts that many feared could have pushed the economy into a new recession. NBC's Kelly O'Donnell reports. The October 29 storm devastated New York and New Jersey coastlines with lesser damage felt along coastal areas of Delaware and Maryland. The Senate passed a bill on December 28 by a vote of 61-33 that would provide $60.2 billion in additional aid to victims of superstorm Sandy. During that vote, 12 Republicans supported the measure, but only after a replacement amendment that would have stripped $35 billion from the bill failed to pass. "It passed the Senate in a bipartisan way," said Representative Nita Lowey, a New York Democrat. "And again, to me this is a real betrayal, a betrayal of the leadership of the Republican Party." "If we get into the next Congress, you have to hit the reset button," said Representative Jon Runyan, a New Jersey Republican who added that the Sandy aid package has been largely drowned out in recent days by negotiations over the "fiscal cliff" tax hikes and spending cuts that were set to kick in starting on Tuesday. 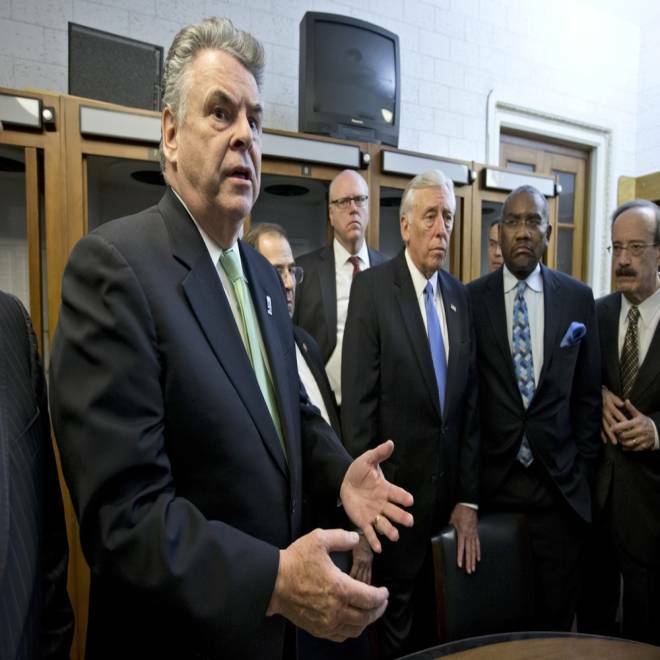 Rep. Peter King, R-N.Y., left, joined by other New York area-lawmakers affected by superstorm Sandy, express their anger and disappointment after learning the House Republican leadership decided to allow the current term of Congress to end without holding a vote on aid for the storm's victims, at the Capitol in Washington, early Wednesday. Many Republicans in Congress say that the Sandy aid bill contains billions of dollars in spending on projects unrelated to damage caused by the storm or for long-term infrastructure improvements that should compete with other discretionary spending. Among expenditures criticized was $150 million to rebuild fisheries, including those in the Gulf Coast and Alaska, thousands of miles from Sandy's devastation, and $2 million to repair roof damage that pre-dates the storm on Smithsonian Institution buildings in Washington. Democrats, including New York and New Jersey senators, have argued that long-term rebuilding projects such as tunnel repairs would be delayed if the full funding was not approved. They say that businesses would not start to rebuild if they were not confident of reimbursement. An aide for Cantor said that the House Majority Leader "is committed to ensuring the urgent needs of New York and New Jersey residents are met, and he has been working tirelessly toward that goal." NBC News' Frank Thorp and Reuters contributed to this report.